SHEN Physio-Emotional Therapy® is a somatic (body) oriented therapy based in physics and physiology, the result of more than 30 years of extensive research, scientific verification and professional application. SHEN therapists use Chi, (Qi) energy, the body's own naturally occurring biofield, to relax physical tissue and relieve physical and emotional pain. SHEN therapy has been well tested in such clinical settings as the Chronic Pain Unit of St. Joseph's Hospital in Fort Worth Texas, Dallas Memorial Hospital in Dallas Texas, The Medical College of Wisconsin Mental Health Hospital in Milwaukee Wisconsin and the Shanghai College of Traditional Medicine in China. SHEN therapy has proven to be superb for alleviating pain in physical conditions which have underlying emotional components. SHEN therapy has facilitated recovery from injury, surgery, anxiety, grief and loss, chronic pain, violation, eating disorders, abuse, night terrors, shock, phobias, compulsive behaviors, childhood traumas, hyper-vigilance, irritable bowel syndrome, spiritual emergence reaction (Kundalini Awakening), emotionless states, confusion, disorientation following accidents, and chronic conditions not responsive to conventional therapy. SHEN is well received by the highly sensitive and those with hyper vigilant reactions. SHEN therapy protocols are gentle and non-invasive, achieving their remarkable results without adding additional pain. SHEN therapy can be used as a stand-alone or as a complementary therapy which very effectively enhances the therapeutic effort of other modalities. For example, SHEN frequently elevates dream life, assisting Jungian dream work and art therapy. SHEN increases a client's somatic awareness, and can bring a client through blocks or an impasse in a very short time. SHEN therapy is much more than an emotional triggering technique or a learned repetitive suppression of internalized responses. SHEN therapy can be utilized as a deep process of personal emotional unfolding, de-layering, awareness and growth, transforming old or current physical and emotional wounds into experiential awareness and self empowerment. SHEN therapy clients report a lessening or absence of formerly debilitating thoughts and emotions, as well as a relief from pain. Their comments reflect new insights, increased self-esteem, heightened creativity, improved well being and greater compassion as a direct result of their SHEN therapy sessions. SHEN therapy clients become increasingly able to "be in the now" and able to react more intelligently, mindfully, and heartfully to present time circumstances, freed from entrenched survival patterns or reflexsive reactions to their historical experiences. Health and sense of well being generally increase after just a few SHEN sessions. Chi increases with the breath and emanates from a practitioner's hands with varying strength. Chi is carried in the air, suffuses the tissues, and travels through the acupuncture meridians. Chi can reach deep inside the body to diminish and dissolve tension, relax and release physio-emotional contractions, shift somatic awareness, increase insight and initiate change in some of the hardest, most entrenched, seemingly impossible cases. Medical Chi Gong (also spelled Chi Kung or Chi Gung) and "Energy Medicine" are considered emerging sciences in the West, but Chi Gong has been used for healing in the East since ancient times. Gong translates as "skill with." Thus, Chi Gong translates as "skill with the energy of life." Chi is recognized in many different cultures. It's known as ki in Japan (pronounced "key"), yesod in Kabbalistic tradition, pneuma to the Greeks and Christian scholars, baraka to the Sufis and prana in India. At left is the calligraphy for the Chinese word shen, which is often translated as "spirit." In traditional Chinese medicine, 'shen' refers to a quality of vitality which travels through the nervous system, and is distinct from Chi. In SHEN therapy, however, the word SHEN is an acronym (please note that each letter in the word is capitalized). The acronym stands for Specific Human Emotional Nexus and refers to the fact that human beings of every culture world wide feel emotions precisely in the same anatomical areas in their bodies. SHEN has been called "the therapy that changes Post Traumatic Stress to ‘past‘ Traumatic Stress." With SHEN, even decades old physio-emotional trauma and its effects are safely cast off. If you have been told your pain is all in your head and you just have to live with it, SHEN Therapy is for you. If you've been living in fear, when you know the present moment is safe and that there is nothing to fear, SHEN therapy is for you. If your chest has been contracting from grief and loss, SHEN is for you. SHEN therapy is for you. If you can't feel love when you want to, SHEN therapy is for you. If you know about the past events in your history that have influenced your current responses to life, and you still haven't been able to let go of them, or change to your satisfaction, SHEN is for you. 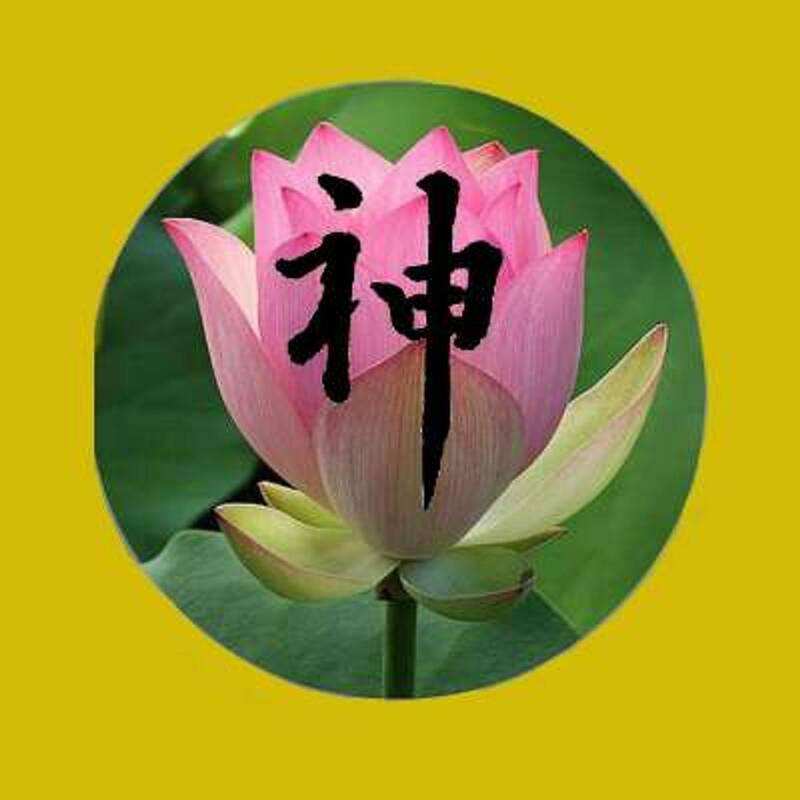 SHEN Therapy is not medical treatment, nor psychotherapy, nor counseling, and is not meant to replace them. 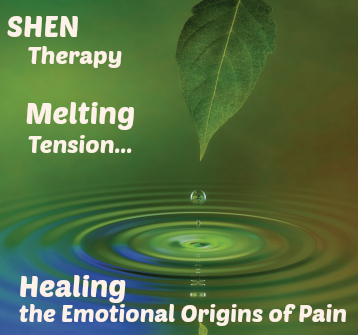 SHEN Therapy is used either as a stand-alone therapy or as an adjunct to other modalities to release debilitating, painful physio-emotional tension from the body. Once internalized physio-emotional tension from old, impactful experiences has been dissipated, naturally empowering emotions such as confidence, joy, and well-being are freed, allowing you to establish a robust, resilient emotional core upon which to live your life.